NCCID Disease Debriefs provide Canadian public health practitioners and clinicians with essential information on prominent infectious diseases for Canadian public health practice. While not a formal literature review, information is gathered from key sources including the Public Health Agency of Canada (PHAC), the USA Centers for Disease Control and Prevention (CDC), the World Health Organization (WHO) and peer reviewed literature. This Disease Debrief was prepared by Aleksandra K. Wierzbowski and Sheikh Qadar. Questions, comments and suggestions are most welcome and can be sent to Sheikh.Qadar@umanitoba.ca. What are important characteristics of Mumps? What is happening with the current outbreak of Mumps? What measures should be taken for a suspected Mumps case or contact? 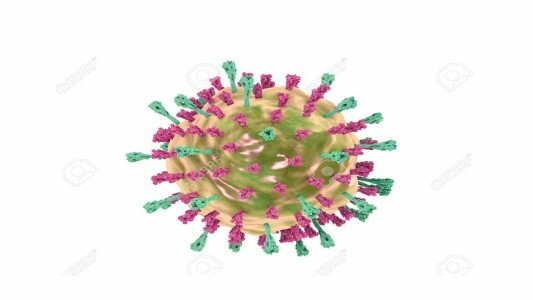 The mumps infection is caused by the mumps virus, an enveloped, negative-sense, single stranded RNA virus which belongs to the Rubulavirus genus in the Paramyxoviridae family. Although there are several genotypes, only one distinct serotype of the mumps virus is known. Typically, fever, headache, malaise and muscle aches are followed by characteristic painful swelling (inflammation) of the parotid (salivary) gland on one (more common) or both sides of the face. Mumps infection can also present as systemic viral disease without parotid gland involvement resembling a nonspecific acute respiratory illness. In some cases, the central nervous system can be involved. Subclinical presentation is common in young children between the ages of 2 to 3 and this proportion increases with age in adulthood. Mumps can be mild or severe. Generally, it is considered a mild childhood illness and a more severe adult disease. Usually, systemic symptoms resolve between 3 to 5 days. The characteristic parotid localized swelling subsides in 7 to 10 days. Most people with mumps recover completely in a few weeks. It is reported about half of infected individuals develop cerebrospinal fluid pleocytosis (inflammatory cells in cerebrospinal fluid). In addition, 1-10% develop symptoms of viral meningitis. If infected by mumps during the first trimester it can lead to spontaneous abortion. Usually, mumps is not considered a serious illness, but sometimes the virus may cause complications in children and adults. These complications are rare and include inflammation of the testicles (orchitis), inflammation of the breasts (mastitis), inflammation of the ovaries (oophoritis), inflammation of the brain (encephalitis), inflammation of the tissue covering the brain and spinal cord (meningitis), temporary hearing loss or permanent deafness, or fetal loss during the first three months of pregnancy. The less reported complications associated with mumps include thyroiditis, myocarditis, mastitis, pneumonia, pancreatitis, nephritis and arthritis. Unimmunized adults are more likely to develop complications linked with mumps infection. Mumps is endemic worldwide and cases are reported throughout the year. A temporal pattern is observed with peaks in late winter and spring. In Canada, after the introduction of routine immunization programs, cases of mumps have become sporadic. Between 2007 and 2010 large mumps outbreaks were reported across Canadian provinces including British Columbia, Alberta, Ontario, Quebec, Nova Scotia and New Brunswick. Mostly reported cases were among young adults. Typically, mumps incubation period is between 12-25 days but parotitis usually develops 16-18 days after contact to virus. Humans are a reservoir for mumps virus. Transmission of mumps virus takes place by airborne or direct contact with an infected person’s fluid such as saliva or droplet nuclei. The virus lives in human cells located in the nose, mouth, eyes and on the skin. Virus replication occurs in nasal or upper respiratory tract epithelial cells. Viremia disseminates the virus to the salivary glands but also in some instances to the CNS, testis or epididymis, pancreas and ovaries. Genotyping methods are available to distinguish wild-type mumps virus from vaccine virus. During an outbreak in Canada, clinical samples can be forwarded by the provincial laboratory to the National Microbiology Laboratory (NML) at PHAC for molecular classification to distinguish between vaccine and wild type virus. There is well-established evidence that two doses of the vaccine are required for long-term protection against mumps infection. In Canada, routine second dose of the MMR has been introduced in 1996/1997. Individuals born before 1996/1997 are likely to have received just one dose and therefore might not be fully protected. Mumps is highly contagious (R0 = 4-7) and can be spread through contact with respiratory droplets from an infected person, direct contact with the saliva of an infected person, and contact with a contaminated surface. According to the PHAC laboratory guidelines for the diagnosis of mumps, the specimen are collected through buccal swab or collection of saliva from the buccal cavity for reverse transcriptase polymerase chain reaction (RT-PCR) assay collected within 3-5 days of symptom. Typically, presence of mumps-specific IgM antibodies indicates the primary acute mumps infection. Recently, data show that in a particular vaccinated population (those received one dose) the IgM antibody response if delayed or absent. The presence of mumps-specific IgG is indicative of a recent or prior exposure to mumps virus. Mumps virus is an RNA virus, and thus RT-PCR is the common approach for mumps virus detection. The first serum specimen should be collected as soon as possible upon symptoms of mumps. The second serum specimen should be collected at least 10 days after the first sample. ♦ Avoid sharing items that could be contaminated with saliva such as water bottles, drinking glasses, utensils, etc. Mumps can be prevented by immunization. In Canada, all provinces and territories have recommended routine immunization of children with two doses of a combined measles, mumps and rubella (MMR) or measles, mumps, rubella and varicella (MMRV) vaccine. Vaccination begins at 12 to 15 months of age, with a second dose provided at 18 months of age or any time thereafter, before a child enters kindergarten or the first grade. There is no specific or prophylactic treatment for mumps; all confirmed and clinical cases of mumps should be offered supportive care. Medication to reduce fever and improve comfort may be recommended. Drinking plenty of fluids, eating healthy foods and getting lots of rest to help the body fight off the infection is advised. Sick children and adults should stay home from school and work for at least 5 days after the swelling starts. Currently, several Canadian provinces—Manitoba, Ontario, British Columbia and Alberta—are experiencing outbreaks of mumps. Higher number of cases began to be reported in the Fall of 2016 and the number of cases continues to grow. Initially, young adults and those involved in sports were predominantly affected, followed by a few cases among children in elementary schools. As of March 31, 2017, 280 confirmed cases have been identified in Manitoba between September 01, 2016 up to March 31, 2017. In the beginning, the outbreak was reported among university students living in Winnipeg or those involved in sports. However, cases are now being seen throughout Manitoba in all ages. An outbreak of mumps in Toronto has led to 65 confirmed cases and it continues to spread as of March 30, 2017. Initially, the outbreak has predominantly affected individuals between 18-35 year olds. Five cases have been identified among students and staff in local elementary and high schools. As of March 30, 2017, 52 cases have been confirmed to date since the beginning of the year: 24 in the Edmonton zone of Alberta Health Services and 12 cases in the South Zone including the City of Calgary. An outbreak among the Vancouver Canucks was reported March 3, 2017. Vancouver Coastal Health (VCH) is investigating the mumps outbreak among Canucks players and staff. A case of mumps has been identified at Halifax West High School in the province of Nova Scotia. What is the current risk for Canadians from Mumps? Canadians who have not had mumps or who are not being immunized in accordance with the recommended immunization schedule are at risk for contacting mumps. Those born before 1970 are assumed protected by natural infection and therefore are not at risk. However, adults born after 1970 are at higher risk to being exposed to mumps if they are students, in the military, work in sports or work in healthcare settings. Anyone traveling to Europe, Asia, the Pacific, and Africa is advised to get vaccinated. According to PHAC, WHO mumps vaccine is used in national immunization programs in only 62% of WHO member states as of 2012. Travelling to these countries puts anyone at risk without natural or acquired immunity to contact mumps. PHAC has developed brief guidelines to help healthcare providers in the management of the person infected with mumps infection. This include signs and symptoms, control, prevention, testing vaccination and reporting. In addition, the Canadian Immunization Guide has also developed guidelines on mumps infection. PHAC has developed national notification requirements for confirmed cases, probable cases and laboratory comments and clinical evidence. These case definitions are strictly for the purposes of case identification and reporting. All mumps cases under investigation should be reported to public health authorities in a timely manner. Confirmed mumps cases as per outbreak case definition should be part of provincial/territorial and national reporting of mumps. Please check with your province for reporting guidelines. PHAC recommends vaccination for mumps infection pevention. The Centers for Disease Control and Prevention in the USA have developed a manual for the surveillance of vaccine preventable diseases (including a mumps chapter that describes prevention and control in healthcare settings).